We love what we do, and we are always looking for creative, outgoing, hardworking, enthusiastic people. Learn more about a career with Jarvis Communications. President Katherine Jarvis brings passion, creativity and unique experiences in the wine and travel industries to Jarvis Communications. Since launching the company in 2005, Katherine has created custom-made programs for small and large, international and domestic clients in need of publicity. Though she grew up with wine on the table every night for dinner, Jarvis’ career in wine began in 1997 when she worked in fine wine auctions in Chicago—first at Davis & Company Wine Auctioneers and then with Lionstone International in partnership with Sotheby’s North American wine auctions. In addition to developing new restaurant buyer accounts by working directly with sommeliers, she also established wholesale procedures in compliance with the three-tier distribution system. Previous to launching Jarvis Communications, she was an Executive Director for restaurant, travel and wine PR firm, Wagstaff Worldwide, Inc.
A native of Carlisle, Pennsylvania, she credits her upbringing as the child of two professors directing study abroad programs for her love of food, wine and culture. Two years in Bologna, Italy led to a lifetime obsession for tortellini alla panna, while two years in Malaga, Spain opened her eyes to the virtues of flamenco, Jerez and jamon Serrano. She studied history and Latin American studies at Northwestern University taking semesters abroad in both Spain and Brazil, and summers in Petersburg, Alaska, gutting salmon. Upon graduation, she taught history at a bilingual school in Bogota, Colombia, before returning to Chicago to work in wine. Katherine is a member of Slow Food, and is currently studying for an Advanced Certificate in Wine and Spirits with WSET. In her free time, she loves to cook, hike, go to flea markets, listen to vinyl records, read and spend time with her husband and two young daughters. Account Director Sam Dependahl joined Jarvis Communications in 2008. Born and raised in Santa Barbara, some of Dependahl’s earliest memories are of picnicking with his family at Santa Ynez wineries. With wine on the table for every dinner, he learned at a young age that wine is always to be treasured and never taken for granted. To this day, he continues to find inspiration in the story behind every bottle of wine he opens. While attending college at Cal Poly University in San Luis Obispo, he bolstered his wine education by exploring tasting rooms from Santa Maria to Paso Robles. During his senior year, he volunteered with Wild Horse Winery & Vineyards to help with the marketing and communications of the wine club. Following college Dependahl worked with the Santa Barbara International Film Festival alongside Artistic Director Roger Durling. During this time, he helped to produce several events whose sponsors included some of the region’s most respected wineries such as Domaine Alfred, Summerland, and L’Aventure. Before coming to Jarvis Communications, Dependahl worked at LA-based boutique firm Indie PR, where he promoted films by studios such as Sony, Focus, The Weinstein Company and Fox. The scope of his work spanned placing clients in top national media outlets, managing awards campaigns, and securing national distribution at the AFI, Toronto, and Sundance Film Festivals. Prior to Indie PR he worked in celebrity PR at PMK*HBH, with such A-List accounts as Nicole Kidman, Sigourney Weaver, Ed Harris, and Glenn Close. Since joining Jarvis Communications, Dependahl has been awarded the WSET Advanced Certificate in Wine and Spirits and CSW certification, and has completed two vintages of wine at home using fruit sourced from Paso Robles, CA. Elizabeth Glenn is an Account Director at Jarvis Communications. Born and raised in the suburbs of Detroit, Glenn’s adoration for wine was fostered by her parents, who frequently traveled to both Northern and Central California wine country and the Traverse City Peninsula to quench their thirst for wine and wine education. A graduate of Oakland University, Glenn studied journalism and political science while working at Ambassador magazine, one of Detroit’s most esteemed publications. Her desire to combine her fervor for writing and entertainment led her to Los Angeles for a position at boutique agency Indie PR. There she worked on an array of studio blockbusters for Screen Gems and independent pictures for top-tier festivals such as Sundance, Toronto International, Santa Barbara International, Telluride and South by Southwest. Working closely with different talent, directors and writers on such diverse films provided Glenn an opportunity to flex her creative muscles and really reap the rewards of prosperous campaigns, including the 2011 Academy Award nominated Incendies. Her passion and dedication enabled her to secure placements in high-profile publications such as Los Angeles Times, The Hollywood Reporter and InStyle, in addition to celebrity appearances on television shows such as CNN, Jimmy Kimmel Live! and The Ellen DeGeneres Show. When Glenn isn’t nurturing her love of wine and creating new recipes, she can be found hiking all over Los Angeles, daydreaming of befriending Bruce Springsteen and defeating her friends and family in Catchphrase tournaments. Account Executive Emmy Fjerstad joined Jarvis Communications in 2018 after working in the wine industry for five years. Born and raised in Michigan, Emmy earned a bachelor’s degree in Business Communications and International Business from Concordia University Chicago. Her passion for travel and culture grew while studying in Costa Rica and England. 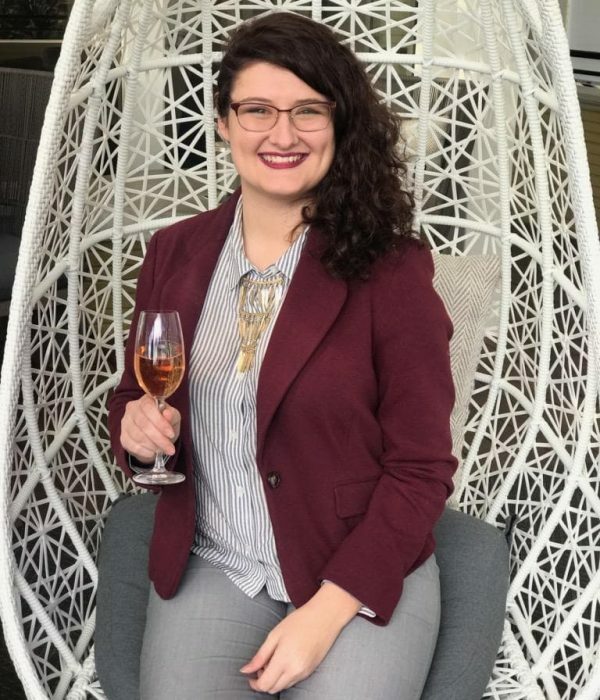 She has continued to pursue wine studies through the Court of Master Sommeliers, The Wine and Spirits Education Trust (WSET) and the UC Davis extension program. Emmy began her career in Chicago, cutting her teeth at City Winery Chicago while working under some of the industry’s most influential women. She then continued into the world of Italian wine as a wine manager at Eataly. In 2016 she transitioned into a regional sales manager role for Dark Star Imports to expand business on the West Coast. Emmy loves living in California and exploring the gorgeous state. When she’s not working with or studying wine, she’s on weekend camping trips in the mountains, making fresh pasta for friends or hanging out in local coffee shops. Monique Geisen is a Digital Media and Account Executive at Jarvis Communications. When she was very young her family moved to Italy to support her father’s military career and allow her mother to connect with her Italian roots. That experience heavily shaped the Geisen family’s love for good food and wine. Her family returned to the United States once Monique began school and she spent her childhood in sunny San Diego. She grew up in a household where a glass of wine was always on the dinner table and where wood-fired pizza was a staple. A graduate of Cal Poly San Luis Obispo with a B.S. in Journalism, Monique pursued her love for travel in college, spending six months studying in Lüneberg, Germany and traveling throughout Europe. Whether it’s pierogi in Poland or smørrebrød in Denmark, Monique enjoys exploring new places through their local foods as much as through the countryside. Monique began her career working in the tech industry on the global social media team at Hewlett Packard Enterprise but decided to turn her love for food and wine into a career in 2018 when she joined Jarvis Communications. She is now enjoying all the diversity that Los Angeles has to offer. In her free time, she is an aspiring master baker and novice yogi. The only thing that rivals Monique’s passion for great food and drink is her love for fantasy novels which she’s been known to devour in a matter of hours. Floreana Edwards-Younger joined Jarvis Communications in 2019 as an Account Executive. Her love of wine and travel began in 2007 while studying abroad in Buenos Aires, where her roommate was a sommelier. Floreana is a Level 2 CMS Certified Sommelier and has the WSET Level 3 Advanced Award in Wines. She graduated from UC Irvine with a double major in Spanish and Comparative Literature. Floreana has broad wine industry experience and has worked in restaurants, sales, production and writing. She kickstarted her wine career as a corporate sales representative for The Henry Wine Group. More recently, she worked as a sommelier and manager in downtown LA restaurants including Redbird, Spring and Church & State Bistro. Floreana completed three full harvests at Jeff Runquist Winery in the Sierra Foothills. Additionally, she volunteered at the neighboring Abbondanza Farm and Vineyard, which is Demeter-certified Biodynamic. Floreana has taught wine classes at BuzzFeed, Tasty and to private groups. As a teacher, she is passionate about making wine education entertaining and easy to understand. 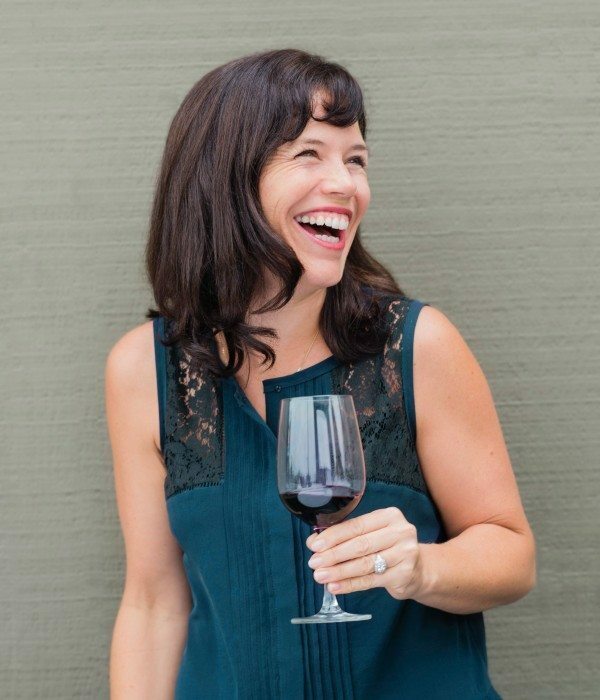 She wrote winery profiles for the 2019 Slow Wine Guide to the Wines of California, with a focus on Paso Robles and Santa Barbara. Floreana is an LA native and grew up hiking in Topanga Canyon. When not reading about wine, she’s often rock climbing, sewing and practicing calligraphy. Sam Viklund is an Account Executive at Jarvis Communications. Originally from Seattle, Sam attended Lewis & Clark College in Portland, OR where he studied cultural anthropology and gender studies. He fell in love with wine while completing coursework on the anthropology of wine under professor Deborah Heath, a leading global expert on the cultural significance of terroir, biodynamics, and discourses surrounding nature, science, and magic in the world of wine. Over the last six years Sam has worked as an academic scholar of food and beverage, a wine buyer at Pastaworks, Portland’s beloved family-owned Italian gourmet marketplace, an entrepreneurial intern at Vista Hills Vineyard & Winery in the Willamette Valley. 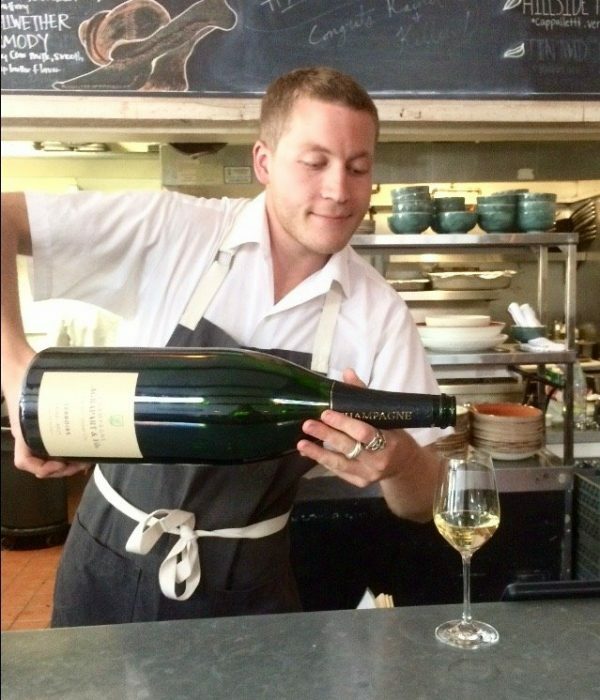 In the restaurant world, Sam was a Champagne slinger at Pix Patisserie (voted best Champagne and sparkling wine list in the world 5 years in a row by World of Fine Wine! ), and a server in various wine-centric restaurants in Portland and the Bay Area, such as the charming Hillside Supper Club in San Francisco. Most recently, Sam worked on the PR team at Colangelo & Partners in their San Francisco office, where he designed and implemented integrated media and trade communications campaigns for regional, national, and global food and beverage brands and institutions. Professionally, Sam is interested in helping brands and people ideate and communicate their stories, and the “matchmaker” aspects of relationship building. A new resident of Los Angeles, Sam prefers to spend his free time cooking, entertaining, (grocery) shopping, and exploring the beautiful landscapes of the Golden State. He’s delighted to leave the San Francisco fog and Pacific Northwest rain behind for abundant Southern California sunshine. Katie Collopy joined Jarvis Communications in 2018 as an Account and Social Media Coordinator. Born and raised in Sacramento, California, some of Katie’s earliest memories include day trips to the Sonoma Coast and running through Napa Valley vineyards. Having grown up surrounded by the bounty of California’s Central Valley, her passion for food and wine naturally developed. Katie went on to study public relations at Sacramento State University, with the intention of focusing in the hospitality realm. Katie’s career in hospitality PR began in New York City, where she worked at agencies Bullfrog + Baum and Bolster Media, working with restaurants and chefs including Blue Ribbon Restaurant Group, The Palm Court at The Plaza Hotel, and the Three Kings Restaurant Group. After picking up a side gig at Thirst Wine Merchants in Brooklyn, her love for wine and winemakers blossomed and a desire to share their stories took shape. Now that she is back home in the Golden State, Katie is soaking up all that Los Angeles has to offer. Most likely you can find her exploring the incredible LA food scene, spending hours rummaging through local flea markets, or simply lying on the beach enjoying the beautiful Southern California weather. Lauren is the office manager at Jarvis Communications. A native of Sierra Madre, California, Lauren grew up spending time exploring LA’s San Gabriel Mountains and developing a lifelong love for nature. She graduated from UC Santa Cruz with a B.A. in History of Art and Visual Culture with a Concentration on Religion and Art. After graduating from UCSC, Lauren accepted an administrative position with a corporate-sponsored childcare center in downtown Los Angeles, where she remained 7 years. 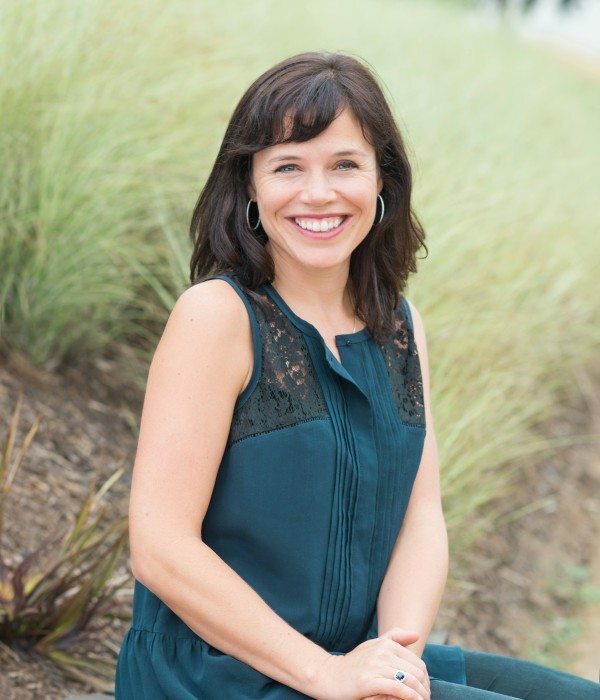 In her position as Business Manager, Lauren ensured that the organization ran smoothly and prioritized the need of the families which allowed her to develop lasting relationships with her clients. In 2017, Lauren decided to embark on a change of career and enrolled in the Wine Education and Management Certificate program at UCLA. In 2018, she decided to pursue her wine education full-time and graduated from the program with distinction in June 2018. 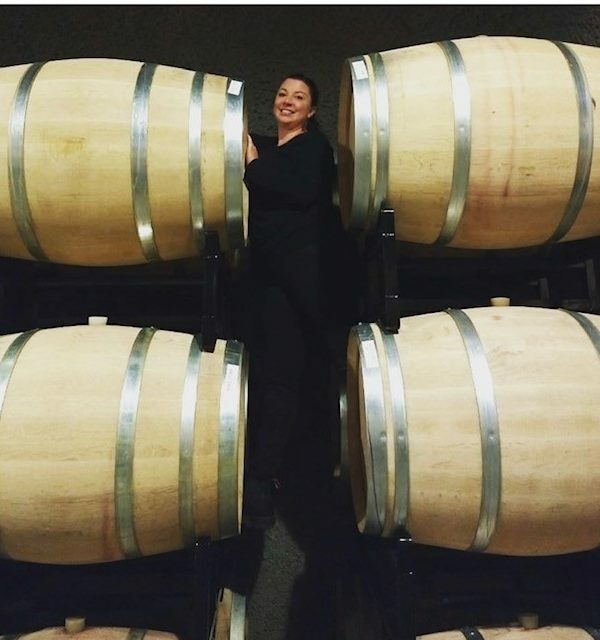 Yearning to gain practical experience in the wine industry she became cellar intern for Harvest 2018 at HUNNICUTT Wines, a custom crush facility in St. Helena, CA. There, she worked with several different winemakers and cellar workers which enabled her to see first-hand the passion and dedication that goes into every bottle of wine. Her experience at HUNNICUTT was more spectacular than she could have imagined, and it further solidified her desire to pursue wine as a career. At Jarvis, Lauren loves being able to bring her skills in Business Management to an industry that she loves. When not at Jarvis, Lauren loves cooking, going to see live music, and spending time with her family and fur babies. You can rarely find her without a book, covering all manner of topics from the classics to newly released thrillers. She can also be found exploring the grounds of museums and botanical gardens around Los Angeles. Henry, a terrier-mix, joined Jarvis Communications in April of 2015. One rare rainy LA day on a whim and with no dog in her immediate forecast, Katherine decided to check out the local pet adoption center with her daughters. Dogs howled, cats meowed, and Henry—without making a sound—looked her in the eyes. End of story. Kismet! 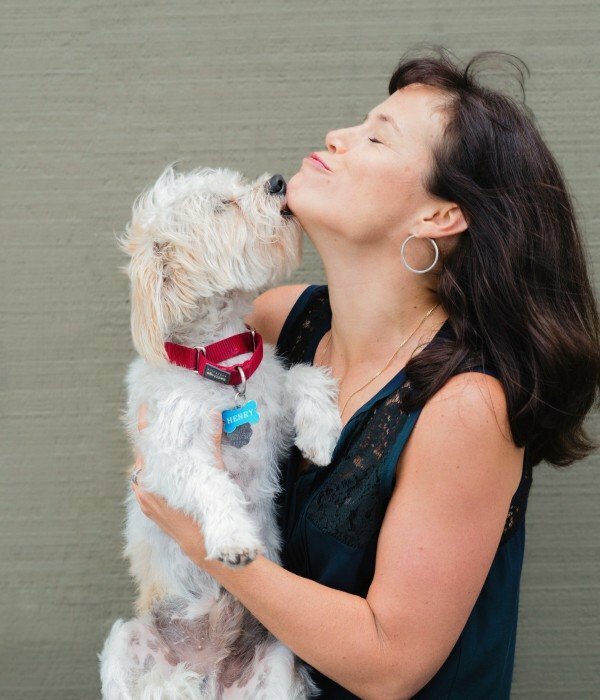 Henry loves to be loved—by humans and other dogs—and gives it back in spades. He can’t wait to come to the office every day to make the rounds (and hopefully get a treat!). Henry loves to chew on his Chubaka toy, give kisses and run in his sleep. He listens to reggae, soul music, and hip hop. He thinks venison has potential for the next big food trend, and can smell a good Barolo from miles away.